​Fulham''s return to the ​Premier League didn't go according to plan, as the Cottagers lost 2-0 against ​Crystal Palace in their opening game of the season. Despite having the better of the first half, it would be Palace who went in at half time with a goal lead thanks to Jeffrey Schlupp's first for the club, before Wilfried Zaha's strike ten minutes from time sealed the win for the Eagles, with new signing Fabri not covering himself in glory for either goal. Fans of Fulham were eagerly awaiting their return to the Premier League, although it didn't go to plan for Slavisa Jokanovic. His side couldn't find a way past Wayne Hennessey despite dominating the first half and, for all their good play, they soon realised that the Premier League will punish you if you don't take your chances, as Crystal Palace did at the end of the first half. It was more of the same in the second period as the Eagles extended their lead, giving Fulham some food for thought upon their Premier League return. Starting XI: Fabri (5); Christie (6), Chambers (5), Le Marchand (6), Bryan (7); Cairney (7), McDonald (6), Serri (7); Schurrle (6), Mitrovic (6), Sessegnon (7). Substitutes: Kamara (6), Vietto (6). STAR MAN - Making his debut after completing his £25m move from French side OGC Nice, Jean Michael Seri looks a good acquisition for Fulham. Tidy on the ball and with good energy in midfield, signs were good that the Ivorian will prove to be an important signing for the Cottagers over the course of the season. Bryan and Seri have done well on their debuts for Fulham, both goals were the keepers fault, no amount of money spent can prevent that. I'm going to enjoy watching Sessegnon play this season. So much talent. Serri also looks to be quality! Fulham look nice. WORST PLAYER - For all the signings Fulham have made this summer, Fabri's performance against Crystal Palace left a lot to be desired. At fault for both goals, the former Besiktas man had a hard introduction into life as a Premier League goalkeeper, and could be replaced sooner rather than later. While they appeared to be on the back foot for large parts in the first half, Palace's experience soon told as they rightfully deserved their three points. Having Hennessey to thank for a number of key stops, Hodgson will be delighted with the professionalism his side showed to not only stay in the game, but also kill it off when Zaha scored in the second period. In what could've been a difficult opening game to the season, Palace passed the test well under the tutelage of Hodgson. 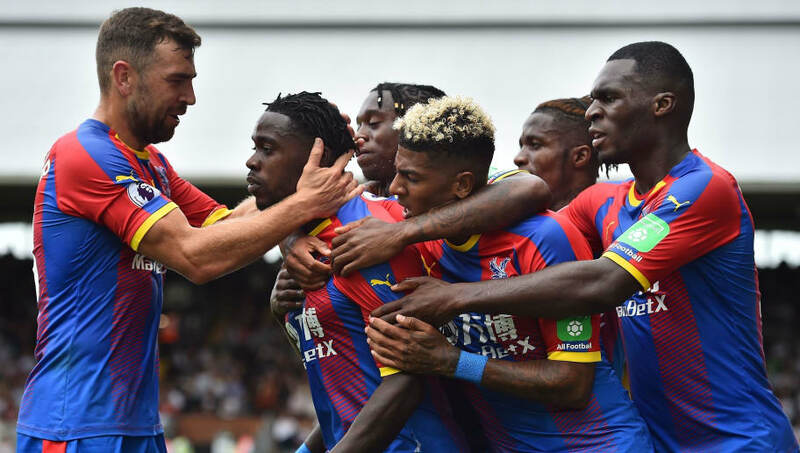 Starting XI: Hennessey (8*); Wan-Bissaka (7), Tomkins (6), Sakho (6), van Aanholt (7); Townsend (6), Milivojevic (6), McArthur (6), Schlupp (7); Benteke (6), Zaha (7). STAR MAN - Although Roy Hodgson signed goalkeeper Vicente Guaita in the summer, the performance of current goalkeeper Wayne Hennessey would've delighted the former England manager. The Welsh international kept his side in the game with a number of important stops in the first half before Schlupp's opener, while his handling and shot-stopping continued to be immaculate in the second half. Should Hennessey continue to perform like this, Guaita may have to wait a while before making his Premier League debut. A fantastic match from Hennessey. And Benteke's cross for the second goal to switch the play? Two players I've moaned about last season, key to the result today. WORST PLAYER - Prior to his part in Zaha's goal, Benteke struggled in the game - missing a great chance in the first half to give Crystal Palace the lead and looking off the pace throughout. His cross-field pass in the buildup to Palace's second deserves credit though, and he will be hoping for better as the season goes on. Fulham have another London derby to look forward to next week as they search for their first points of the Premier League season, although it will be a tough game away to ​Tottenham. As for Palace, they will have to wait a little longer before their first home game of the season, when they host ​Liverpool in just over a week.